As the bitcoin market approaches the upper trendline, the price action will coincide with a test of the previous all-time high. Expect this to be a point of resistance with possible market turbulence. However, if we manage to break that resistance level and hold support above the trendline, there is no clear resistance until we test the parabolic envelope in the upper $8,000s. The last two corrections bitcoin has seen came on the tail of a minor pullback that rebounded to a new all-time high. The one-day candle trend is, so far, showing a repeated pattern that has led into a reversal each time it tested the upper parabolic curve. A rounding of the Bollinger bands during an upward move (shown in purple) is a forecast for decreased upward volatility that will lead to either a consolidation period or a reversal to the lower Bollinger bands. While a reversal is not required of this move upward, one can speculate that once the price tags the upper parabolic curve, we could see a pullback to the lower Bollinger bands on the one-day charts. A pullback to the lower Bollinger bands would see support quite nicely with the lower parabolic curve. One of two outcomes can be expected from this move upward: either we will test the upper parabolic trendline and reverse, or we will break above and consolidate before continuing on a very strong bullish move to new highs. However, these macro moves have become increasingly more demanding on the market as we continue to get squeezed within the parabolic envelope. The forecast of the Bollinger bands indicates we are not likely to see a sustained move higher without a consolidation period or a pullback. Over the weekend, bitcoin saw another test of the lower parabolic curve that proved to be strong support. After testing the parabolic curve, the market rebounded and has now established a new all-time high. 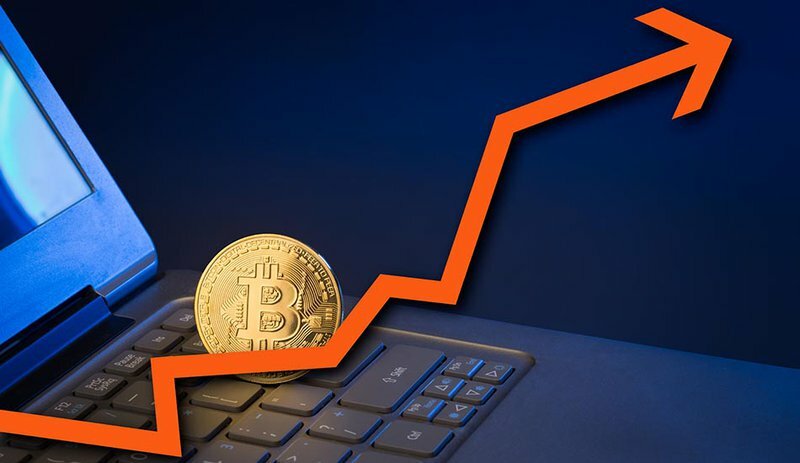 If this trend continues, bitcoin could see prices in the mid to upper $8,000s before any noticeable resistance stands in the way of the price growth.